On the previous Chronicle, I wondered whether the alleged virtues of the Naginata Togi nebs were real and detectable. To do so, I published a picture with seven sets of ideograms --焼肉定食, yakiniku teishoku--, all of them written by the same Japanese hand using seven different pens. Then I asked if we could find out which one had been written with a Naginata. - Kubo Kohei nib. Unlabeled point, but it is about an MF. - Henckel nib, architect grind. - Sailor Naginata Togi, NMF. - Pilot #5, music nib. The solutions to the question of last Chronicle. The most popular answer –both on comments to my text and on Instagram-- was number 5; that is, the music nib by Pilot. 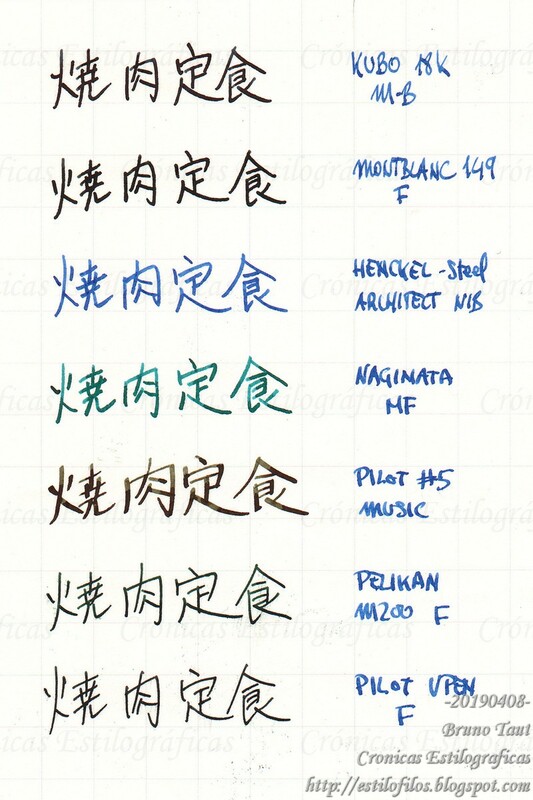 This result is surprising—either people love the results of writing with a stub nib or most of us do not really know how a Naginata nib is actually cut. 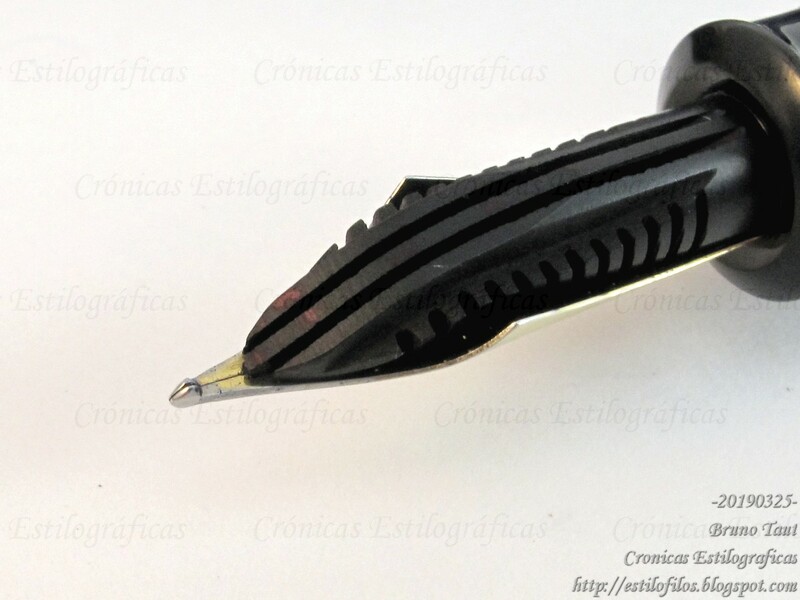 On second position came number 3 –a Henckel nib with an architect grind--, and on third, the actual Naginata Togi. This is more reasonable, as the Naginata nib can be seen as a smooth architect's nib. 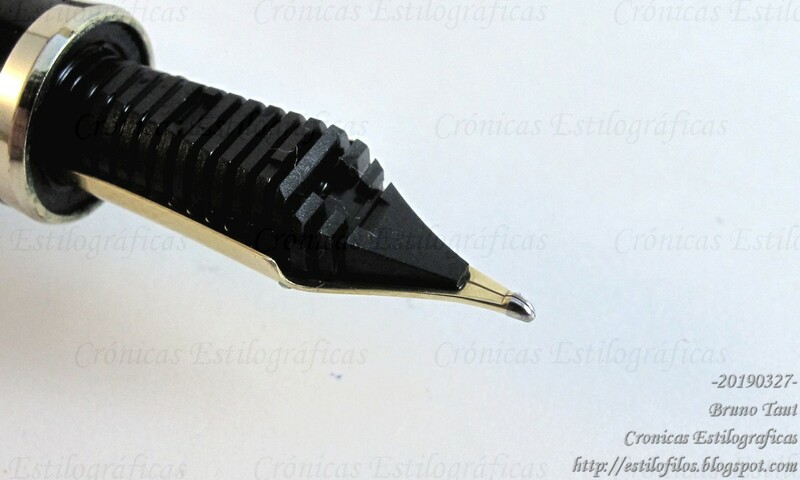 The architect's grind on a Henckel nib. The conclusion is that the alleged beautifying effects on the writing come only through practice with the Naginata Togi nib itself. But if so, many people, in Japan and overseas-- buy Naginata pens without really knowing how to use them and take no benefit of their supposed advantages. 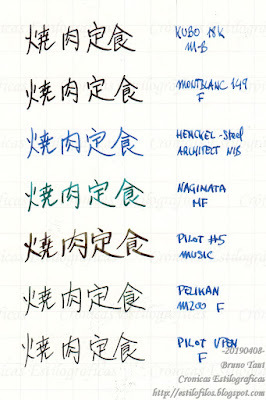 But Naginata Togi nibs are excellent writers for whatever script, Eastern or Western. 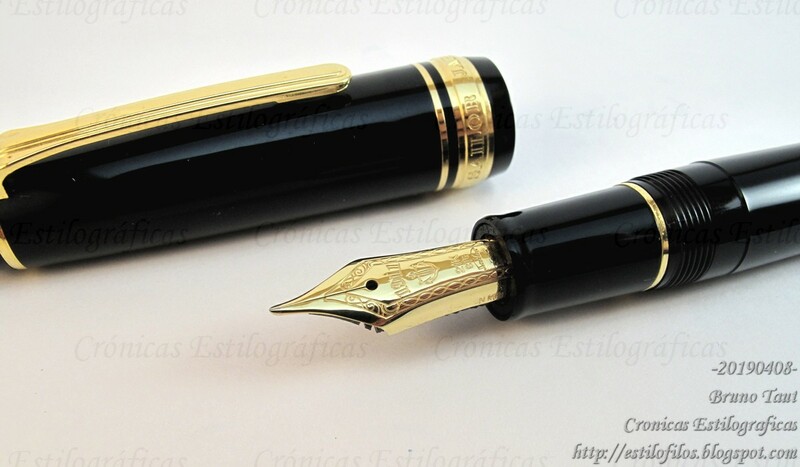 And christening a nib with an exotic name is an excellent marketing strategy. Interesting. Good to see the humble V-pen putting in such a strong performance. Pilot's Vpen is a very good pen... save for the quality control. Not all those nibs are good, and testing them before buying is convenient.